These projects promote a unique “Blue and Green” concept. All facilities within the projects, i.e., water, energy, air, climate control and sewage recycling are environmental-friendly, reducing the waste of energy and water without compromising highest living standards. 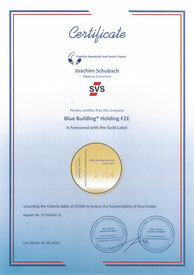 In the beginning of 2007, the name “ BLUE BUILDING® " and " BLUE BUILDING® CONCEPT " were created. 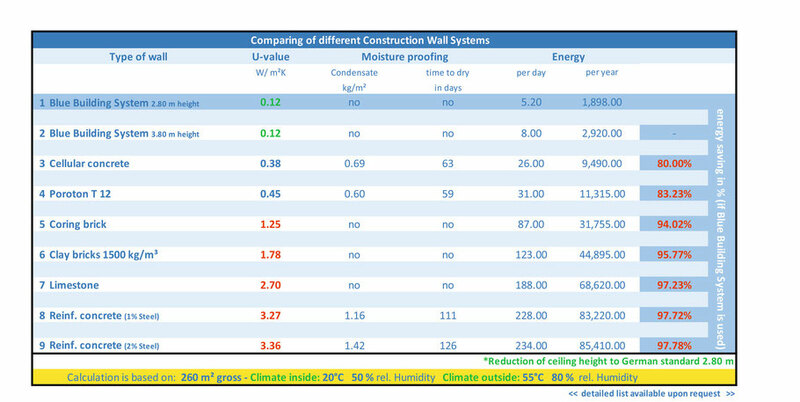 All technologies use proven systems complying with European standards (DIN). The prototype of our Blue Building Concept is an accomplishment of 30 years of passionate development and research into environmentally friendly and sustainable technologies, techniques and working concepts, aspiring to a cleaner and safer future for the planet. Luminescence Measurement 1,300 lx, which is higher than in a photo studio. No artificial light is needed during the day. 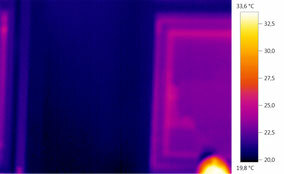 Noise Sound Level Measurements* Average 43.3 dB indoors, while outside it goes upto 90 dB. Our target should be to achieve the impossible…..
Stop the progressing climate change and go back to nature. 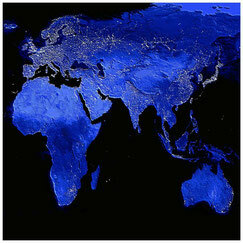 Handover a healthy world to our children. The BLUE BUILDING® Concept has a unique “blue” planning strategy that propagates within its projects conscious environmentally friendly facilities for water, energy, air, climate control, sewage and water recycling. 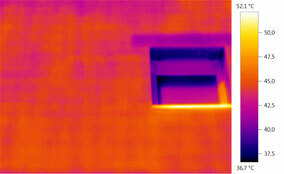 The result is a reduction of energy and water which is significantly higher than average. 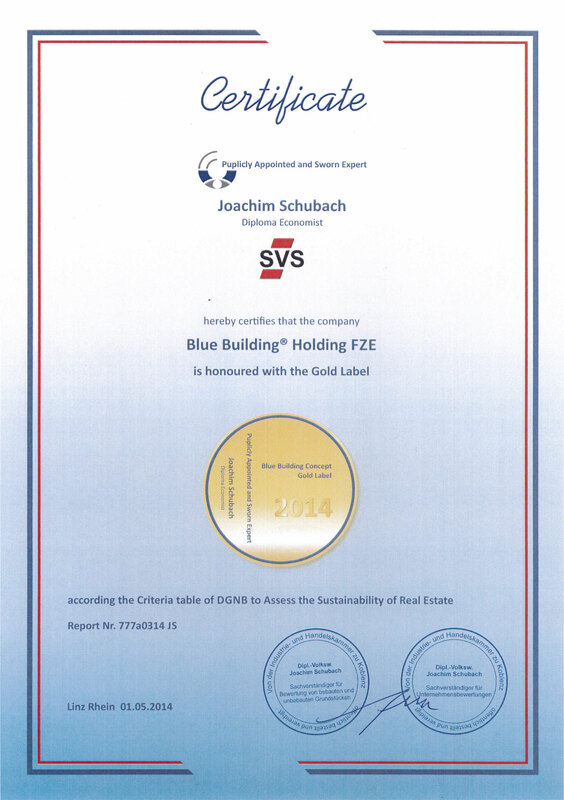 In 2014, the Blue Building Concept was certified with the "Gold Label Status" by Joachim Schubach, publicly appointed and sworn expert in association with "Die Gesellschaft für Nachhaltiges Bauen" (DGNB) which is "The Association for Sustainable Building" in Germany, providing that our concept is the leading representation for sustainable Building. 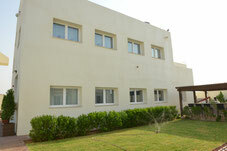 With the Blue Building Concept breakthrough, innovative technologies are brought to the market. The future of building technology is geared towards sustainable construction - The Blue Building Concept will offer a new standard in the field of sustainable and energy efficient construction in the future. In association with “Die Gesellschaft für Nachhaltiges Bauen” (DGNB) which is “The Association for Sustainable Building” in Germany.